Planet B Harvest provides fresh and healthy produce and seedlings grown in beautiful northwest Montana. Fresh pea shoots taste like the essence of sweet green peas. They are great on their own with a little homemade dressing, or as part of a salad. I also add them to stir fries, soups, and any dish that would benefit from a pop of bright green and sweet pea flavor. 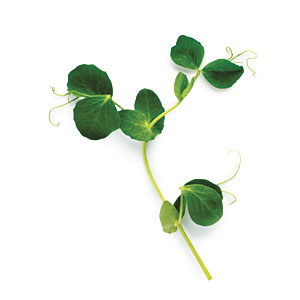 Pea shoots are naturally low calorie, and loaded with Vitamin C, Vitamin A, and Folic Acid. Blend them into your morning smoothie for a healthful boost of nutrients and flavor. 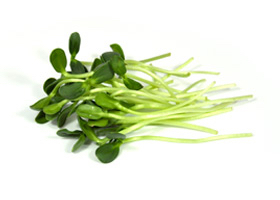 Sunflower greens are baby sunflower plants harvested just as the second set of leaves appear. They retain the nuttiness of raw sunflower seeds with the satisfying bite of a leafy green. A big bowl of sunflower greens tossed with raw pumpkin seeds and homemade ranch dressing is one of my favorite healthy snacks. Sunflower greens are low calorie, containing Vitamins A, B, D, and E, calcium, copper, iron, magnesium, potassium and phosphorus. They pack a nutritional powerhouse as part of your juicing recipe. Follow us: Planet B Harvest on Facebook for updates!